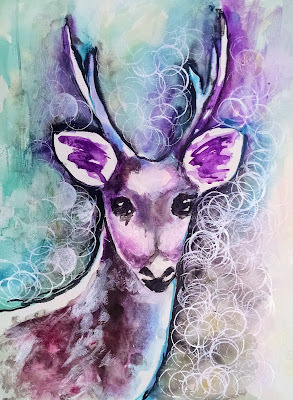 Welcome to Week 21, Year 5 of Paint Party Friday! This week, random.org chose # 21 - Mandy Sea. 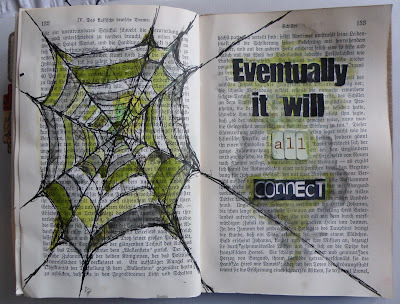 Mandy worked in her altered book last week inspired by a quote reflecting events in her life. 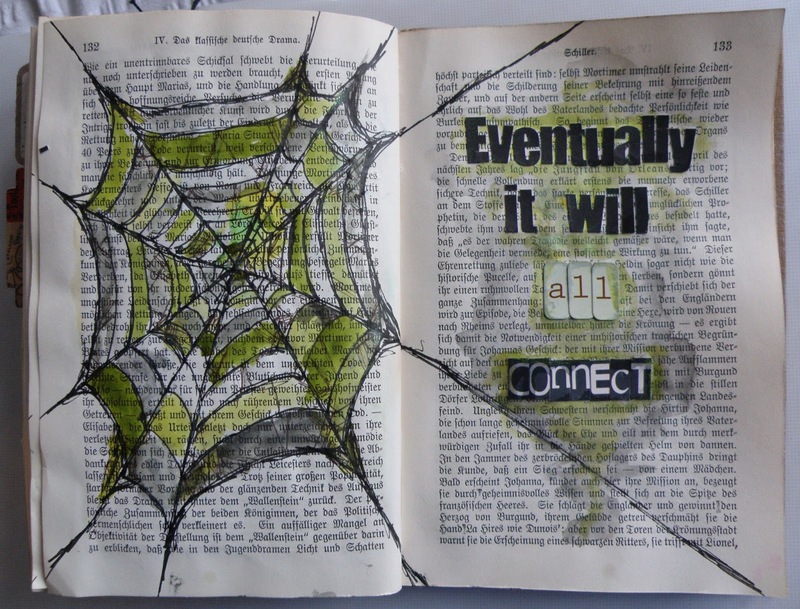 She created this very pretty image to complement the quote. 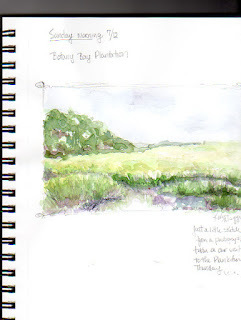 Welcome to Paint Party Friday Week 20, Year 5! This week, the random.org number generator chose #35: Karen (The Adventurous Art Teacher). 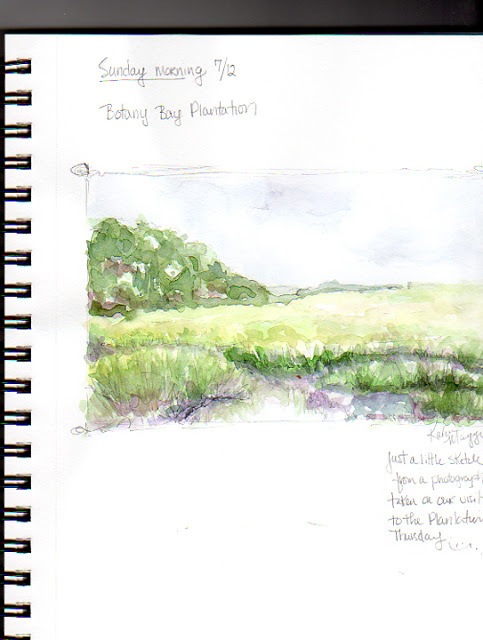 Last week, Karen shared a series of beautiful sketchbook pages from a recent vacation. Her new morning ritual is such a wonderful way to record her adventures... Very inspiring! As always, please make sure to use your post URL address NOT your blog home page URL address as there are many late visitors who get confused as to which post is for PPF when they arrive (after Friday) at your website. If you are unfamiliar with Mr. Linky, an explanation of how this tool works can be found on Week 1 and Week 2 posts. Wishing you an inspired week! Welcome to Week 19 of Year 5 here at PPF! This week our random number generator chose #68 - Studio Kaufmann. Emma was painting with acrylic inks and watercolours and creating this ethereal fairytale deer. How magical! As always, please make sure to use your post URL address NOT your blog home page URL address as there are many late visitors who get confused as to which post is for PPF when they arrive (after Friday) at your website. If you are unfamiliar with Mr. Linky, an explanation of how this tool works can be found on Week 1 and Week 2 posts. Have a fun and paint filled week! Welcome to week 18, year 5 of Paint Party Friday! This week, the random.org number generator chose #64: Danielle. 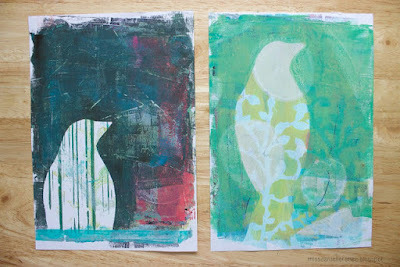 Last week, Danielle shared some wonderful gelli prints along with some interesting insights into her creative process. As always, please make sure to use your post URL address NOT your blog home page URL address as there are many late visitors who get confused as to which post is for PPF when they arrive (after Friday) at your website. If you are unfamiliar with Mr. Linky, an explanation of how this tool works can be found on Week 1 and Week 2 posts. Have a fun and creative week! Welcome to Week 17, Year 5 of Paint Party Friday! This week, the random.org number generator chose #21: dreamcolour-kat. Like many of our partyers, Kat is playing along with The Summer of Color, and last week she shared her beautiful solutions to the purple+purple+yellow challenge. Please stop by her blog to see the other creative pieces she made using those colors (in addition to some great pics from a weekend in Amsterdam)! Wishing all of our USA friends a safe and happy holiday weekend!